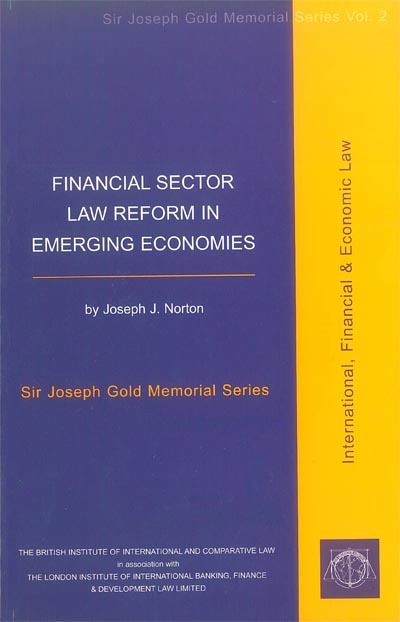 This was the first volume to be published in the Sir Joseph Gold Memorial Series; a new series of publications on International Financial Law, produced in association with the London Institute of International Banking Finance & Development Law. The stability of economic and financial systems requires viable financial and commercial law systems of considerable sophistication and of high integrity and transparency. This volume extensively explores the law-based approach to financial sector reform in transition and emerging economies. Through comprehensive discussion of reforms in banking, capital markets, pensions, and State-owned enterprises in transition and emerging economies, this volume unfolds the complicated web of private and public laws, of domestic, regional and international laws, and of statutes, administrative regulations and case law which cover financial services and financial institutions. It presents an evolving process of interaction between external, both international and regional, supervisory developments and domestic financial legal frameworks. Based on an investigation into the new trends in international financial regulation, especially the growing body of soft law in this area, the book predicts the eventual establishment of a new partnership among the various regulators of the financial sector in transition and emerging economies. "Financial Sector Law Reform in Emerging Economies Vol. II"